Malawi has had five Administrations since 1994. Despite the potential the country has, “at best, stagnated and, at worst, regressed, with a high maternal death rate; a high infant mortality rate, a low life expectancy, a high illiteracy rate, and low productivity,” Chilima points out in the four-page UTM Presidential preface. We believe in the supremacy of and are committed to upholding the Malawi Constitution. We believe that no one is above the law of this country. We believe in an open, accountable, and transparent government. We believe the constitutional principle that authority to govern is derived from the people of Malawi. We detest the attitude that some podium political class behave as if they are doing the people of Malawi a favour. The Manifesto makes observations and outlines the roadmap to high-jumping the 11 griefs and woes besetting the country, among them being religious intolerance, poor time keeping, corruption, abuse of the youth by politicians whereby the youth are tools of violence, and abuse of women whereby women participate in politics as mere dancers and nothing more. This analysis will feature seven of the UTM Manifesto that highlights the ways that make the UTM the game changer in Malawi. 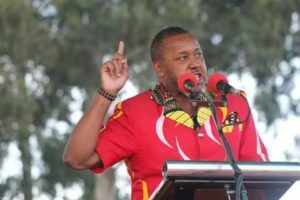 While the critics argue that Chilima is too young and green behind the ears and cannot lead Malawi, they also categorically refute that Malawi’s de-industrialization started that far back. This would put the process of de-industrialization as having started in 1979. The heaviest onslaught blows to Malawi’s quest for becoming an industrial nation was with the privatization drive in post-1994 democratic era. In fact, there has not been any labor-intensive manufacturing company established in this era. Looking back to Malawi’s development path, 1979 was the height of development. 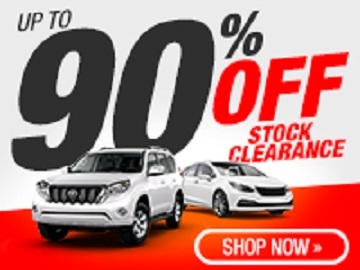 The years 1969 to 1979 were the years when Malawi had both government-driven and private sector-driven massive number of industries. Among these were, Brown and Clapperton, Leyland, Blantyre Netting, David Whitehead and Sons, Ethanol, SUCOMA, Tambala Food Processing, Dulux Paints, Valmore Paints, Blantyre Print and Packaging, Airport Handlers Ltd., Cheeseboro Ponds, Lever Brothers, Bata Shoe Company, Viply, Pulp Wood Company, Mulanje Canning, Press Farming, Press Agriculture, Napolo Ukana, Southern Bottlers, Carlsberg Malawi Ltd., Grain and Milling, Press Furniture, Press Steel and Wire, WICO, and many more. Malawi enjoyed an uphill rise in factories, manufacturing companies, and massive employment opportunities for skilled, semi-skilled, and unskilled workforce. De-industrial downhill was after internal and external forces and shocks; and the subject of another article. 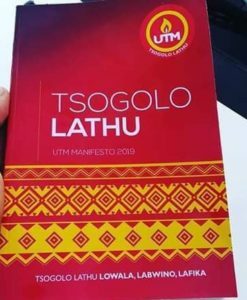 The UTM Manifesto is to be heartily welcomed however, for its vision of a new and refreshing leadership style that squashes the “Mabwana syndrome.,” or as the Manifesto details under the “Imperative for the Tsogolo Lathu (Our Future Culture; a culture that states that “No one has a monopoly over progressive thinking. There must be no Master. There must be no Servant. There must be equal Partners expanding our efforts to take our country further ahead.” Seven sections of the Manifesto that propels UTM ahead of the pack, without minimizing the worth of others before or after, and without diminishing the import of other sections of the Manifesto, the seven are merely chosen on personal zeal and passion. Wedged in the UTM Manifesto Economic Transformation is agriculture, which the Party acknowledges as an important sector that suffers from natural and man-made challenges such as climate challenges coupled with poor political leadership. UTM states that previous administrations placed emphasis on food security rather than commercialization in the sector. It cites the error of placing both financial and human capital into the farm input subsidies without regard to the commercial aspect of the sector. The Manifesto proposes that it will ensure that small and large-scale farmers have access to cheaper fertilizers, which is especially ideal for the country’s national priority crops such as maize. UTM also proposes to establish Mega or Anchor farms in each district, encouraging local farmers to organize themselves into cooperatives that would engage in producing a specific crop that would then be sold to a factory that is linked to the Mega farm, within the district. This would have the spill-over effect of creating jobs and generate economic activity at the district and smallholder levels. In this sector, UTM has etched proposals for enhancing activities in other sectors of agriculture such as livestock production, aquaculture, fisheries. It aims to revamp institutional structures such as ADMARC by releasing the heavy-handed political pressure it has endured over the years, eliminate corruption and inefficiency, and make it truly a private company. The Manifesto also make ample mention of massive roadwork and greater use of our water system. Absent in the Manifesto, however is our national white elephant; namely the Nsanje Inland Port that to this day remains a massive heap of wasted resources and energy and missed opportunities for economic transformation. (Yet a topic for another article). Suffice it to report that the massive roadwork and fisheries proposals will generate intensive labor requirements and a great reduction to the unemployment level. With the current status of the social policy being relegated a residual role, the UNT Manifesto ascertains that “social policy is not only a contributor to production through human capital but can also be a source of savings through pension schemes.” An improved social policy network everywhere has been the boon for economic advancement. UTM is to be commended for giving the topic 12 pages on its focus on social development issues. Health –in any development work, policy or strategy, a critical need is a healthy populace. The proposed strategies in the UTM Manifesto are welcome. The bullet point that stands out and deserves mention is the construction of mental health hospitals that will be attached to Mzuzu, Kamuzu and Queen Elizabeth Central Hospitals. Education – Among the proposed goals for UTM in this sector is the completion in its first year in office, of “a minimum of ten secondary schools into state-of-the-art centers of learning…” On the issue of fees, UTM males a promissory note that it will “ensure that no deserving child fails to go to school because of lack of school fees at primary level, secondary level or in public universities.” A standing ovation is for the plan to re-introduce physical education and competitive sports at all primary and secondary schools in Malawi. Physical education is a crucial element of child development; it probably was given the boot out the window in post-1994 era, because physical education was provided by trained Malawi Young Pioneer instructors. The new UTM proposal will require training in physical education, thereby creating another job-creation avenue. Despite making the point the first highlight, strategies to eliminate gender-based violence is not addressed in the Manifesto. Youth – Among the proposals in this sector are provision of tailor-made training sessions to shape a progressive mindset, link semi-skilled youth with large scale industries (nationally and internationally), and synchronize the curriculum of tertiary and technical education in Malawi with the needs of the market. Sports – in this sector, UTM promises to rehabilitate dilapidated sports infrastructure in all districts in the country. On youth talent acquisition, the Party promises to create an effective National Sports Talent Search System so that extraordinary young sportsmen and young sportswomen are identified at a young age; the ideal will be to streamline these in special training. Vulnerable persons – Among the list of vulnerable persons in Malawi, UTM highlights women, children, the elderly, persons with disability, and persons living with albinism. To protect this population, UTM proposes 10 develop and implement a national foster home system to provide a safe environment for the development and growth of children; b) “Decisively stamp out the unwarranted and callous brutality against persons with albinism, while fully implementing the Plan of Action on persons with albinism. For elderlies like me, the bullet point about UTM’s plans to establish “The Elderly Pension Fund, where a monthly pay out of K15,000 for all persons aged 65 years or above. This has taken me back to a time Minister for persons with Disabilities Honorable Khembo came to a Commission for Social Development annual meeting at the UN; as the Malawi Mission expert, it was my task to steer the ministerial delegation around the meetings at the session. One day the honorable minister was introduced to some of my cooperating partners on social development Helen Hamlin and Jack Kupferman. This led to the Honorable Khembo to introduce to cabinet during the Bingu wa Mutharika administration, the non-contributary universal pension scheme for person 65 years and older. The Universal pensions scheme, introduced in several countries in Asia and Africa, has improved the livelihoods of elder persons and their families. It has also relieved governments of the need to give handouts to people that spiral into poverty due to lack of an income or other shocks. EDITOR’S NOTE Stay tuned for Part II of the UTM Manifesto analysis.